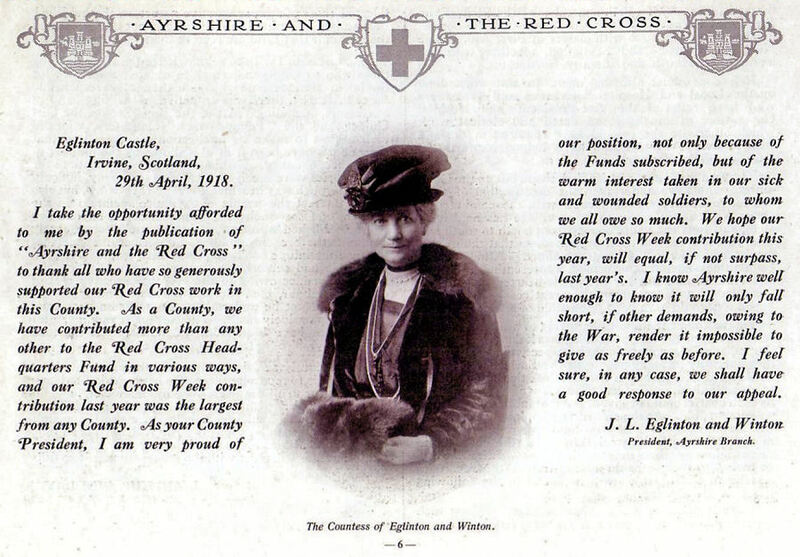 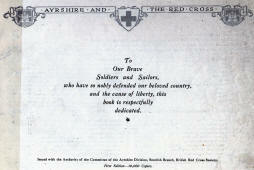 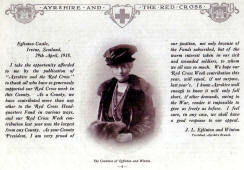 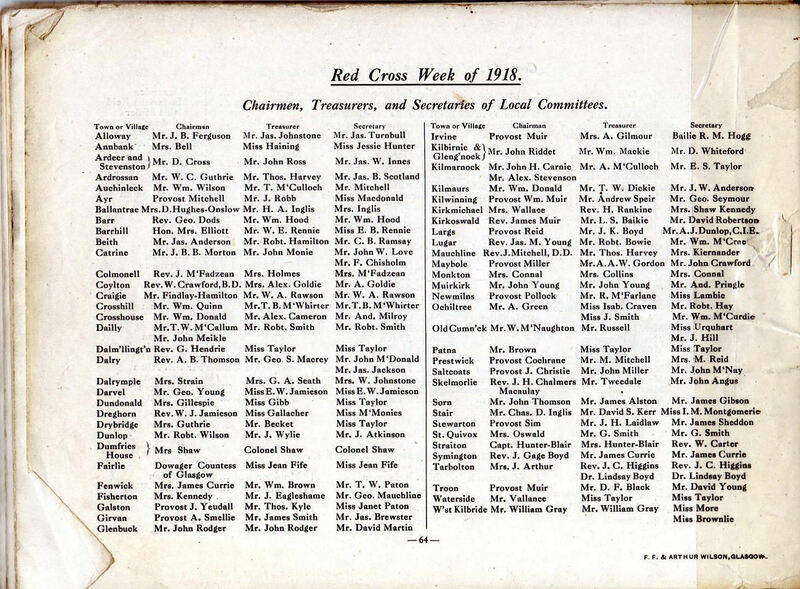 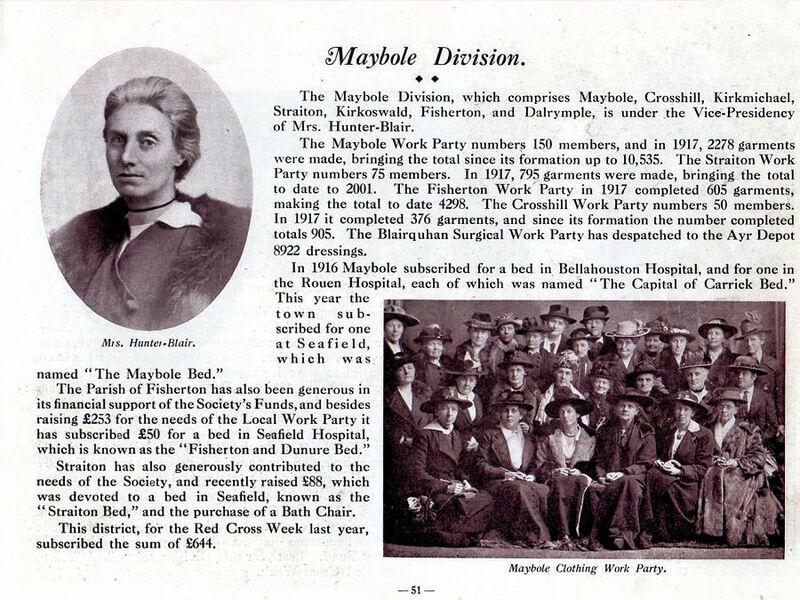 Excerpt from Maybole Division page above: The Maybole Division, which comprises Maybole, Crosshill, Kirkmichael, Straiton, Kirkoswald, Fisherton, and Dalrymple, is under the Vice-Presidency of Mrs. Hunter-Blair. 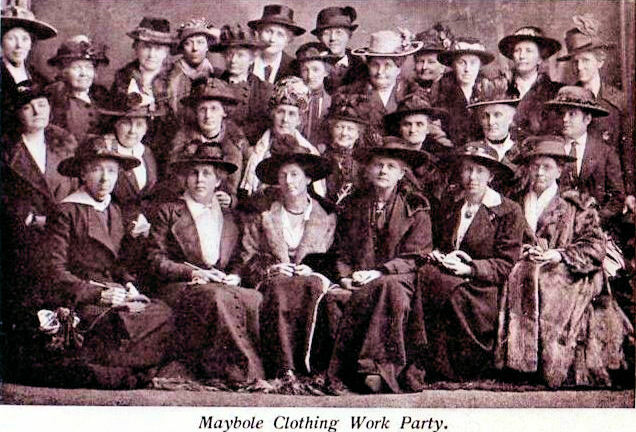 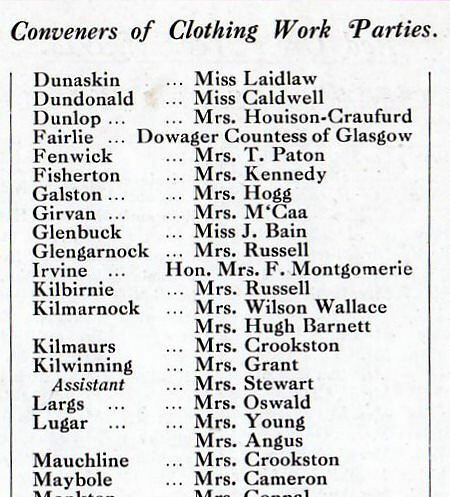 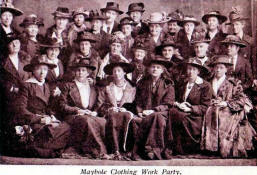 The Maybole Work Party numbers 150 members, and in 1917, 2278 garments were made, bringing the total since its formation up to 10,535....In 1916 Maybole subscribed for a bed in Bellahouston Hospital, and for one in the Rouen Hospital, each of which was named " The Capital of Carrick Bed." 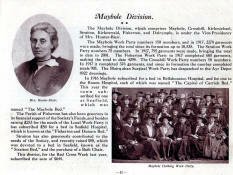 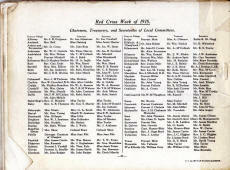 The year the town subscribed for one at Seafield, which was named "The Maybole Bed".